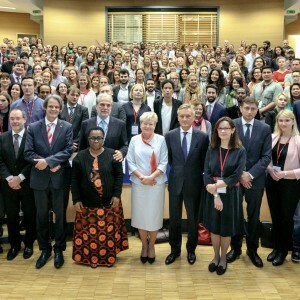 A new academic year of the Joint European Master’s in International Humanitarian Action has begun. Its inauguration was held in the Old Library building of the UW. 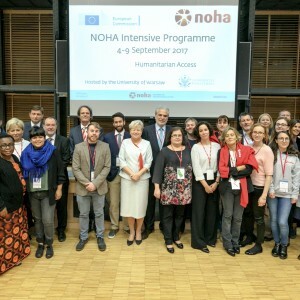 NOHA (Network on Humanitarian Action) is an international network of 12 European and 14 global partner universities that aims to enhance professionalism in the humanitarian sector through education & training, research & publications, and projects. It was created in 1993. In 2008, the University of Warsaw jointed the association. 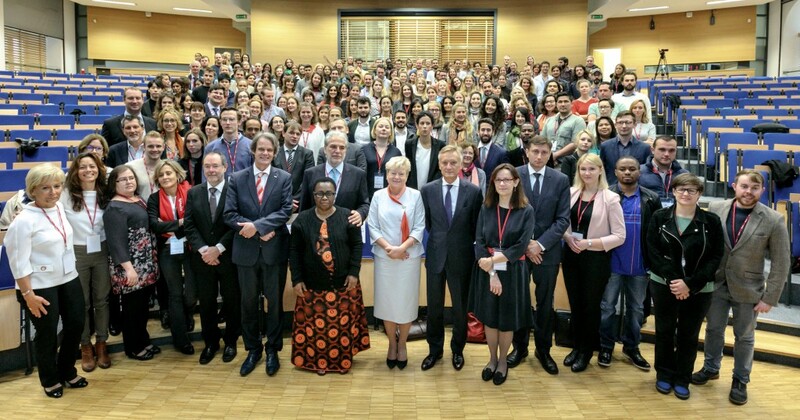 Since its creation, more than 3 000 graduates have completed the Joint Master in International Humanitarian Action. 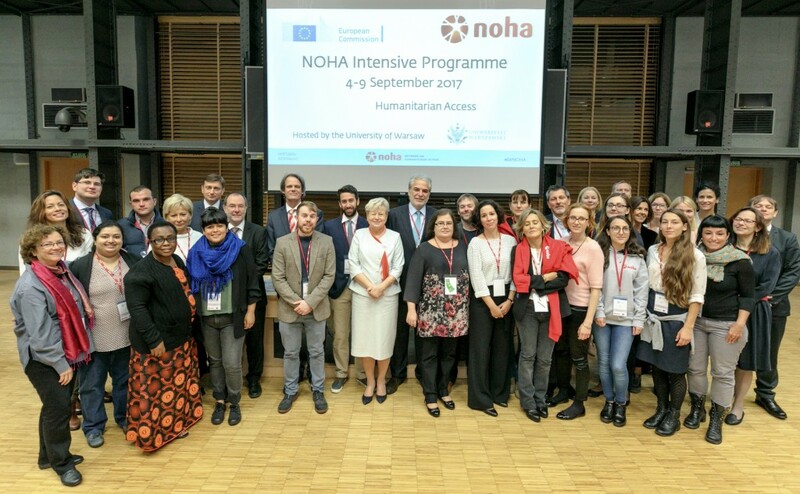 UW becomes also an integral part of the NOHA Joint Master’s Programme in International Humanitarian Action due to its Master Programme in Humanitarian Action (started 2015/2016 academic year). Approximately 140 students from 70 countries as well as 60 staff from all over the world – e.g. lecturers, researchers, practitioners and representatives of NGOs, have begun a new academic year. 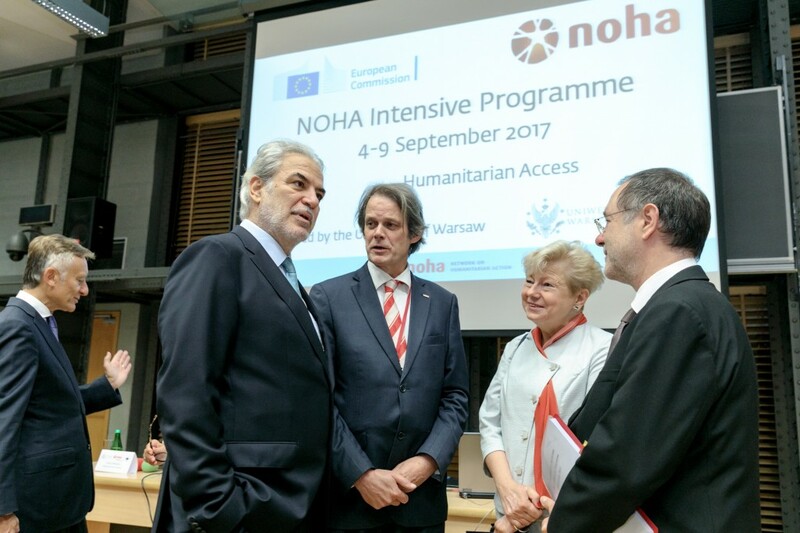 For the 10th time, the Intensive Programme, that is an introduction to the NOHA Joint Master’s in International Humanitarian Action, has been organized at the University of Warsaw. The Intensive Programme is an initial inter-university joint course that introduces students to the NOHA Master’s Degree profile, key principles and concepts underlying humanitarian action, the main actors in the field of humanitarian relief, their policies and strategies, contemporary issues and challenges facing humanitarian actors. 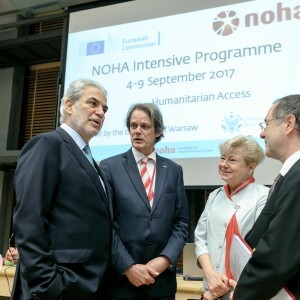 Not only students and staff participated in the inauguration of a new academic year of NOHA but also Christos Stylianides, European Commissioner for Humanitarian Aid and Crisis Management; Prof. Joost Herman, NOHA President; Prof. Jolanta Choińska-Mika Vice-Rector for Student Affairs and Quality of Teaching; Dr. Elżbieta Mikos-Skuza, NOHA Director at the UW; Joanna Stachyra, Ministry of Foreign Affairs of the Republic of Poland. – This is the 10th time that the Intensive Programme is held here in Warsaw. We are very proud to host it and to contribute to the development of the humanitarian sector, and to enhance professionalism in the delivery of humanitarian assistance – said Prof. Jolanta Choińska-Mika, Vice-rector of the UW, during the ceremony. – With images of yet another disaster, armed conflicts and crises feeling in the news-reports, it is easy to see the relevance of your training and the urgent need for well-qualified humanitarian workers – Prof. added. – I am a firm believer in the new European generation. I am a fan of your generation. Your knowledge, your enthusiasm, your resourcefulness and fresh minds can give Europe a stronger momentum. They can give us new ideas. Innovative ideas – said Christos Stylianides, European Commissioner for Humanitarian Aid and Crisis Management.